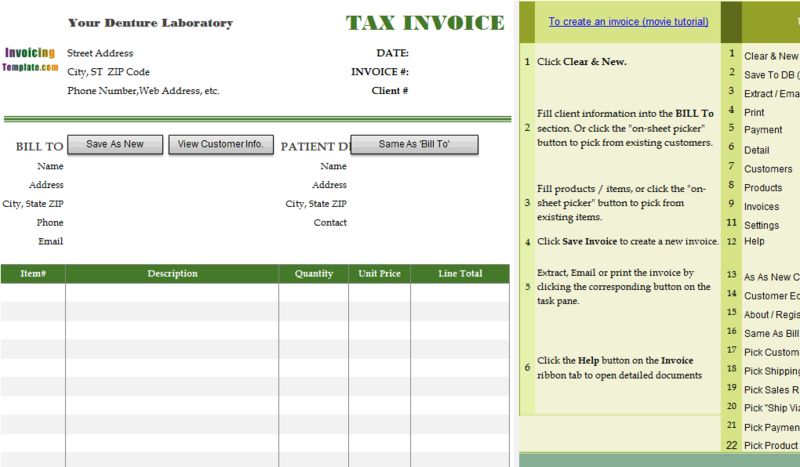 In the document Word Invoice Templates we described the benefit of using Excel as an invoice generator. 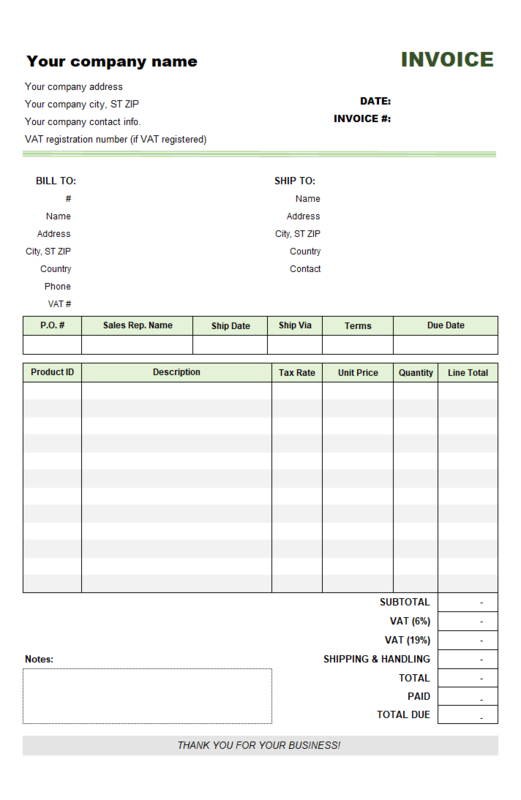 For example, it is easy to do automated calculations of discounts, totals and taxes using formulas in Excel. 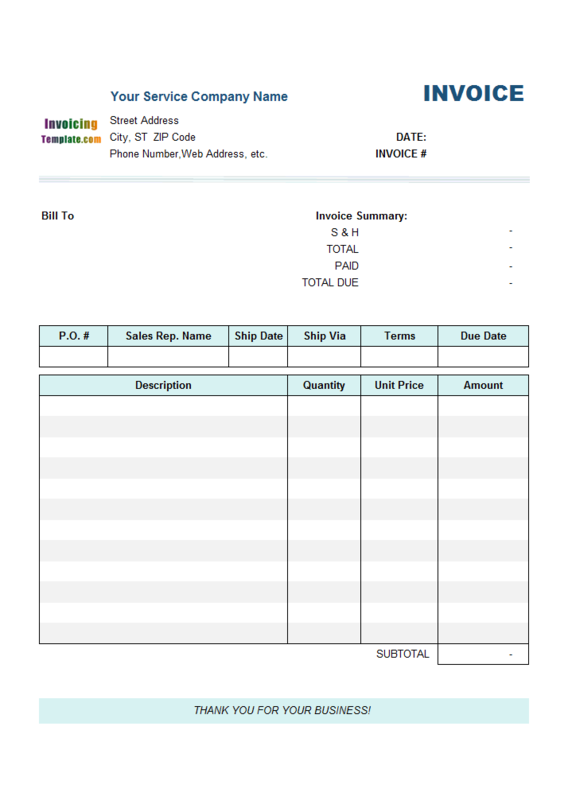 One of the useful feature provided by Invoice Manager for Excel (namely Uniform Invoice Software)(UIS) is the auto generation of invoice numbers. With Microsoft Word, you can do so by applying a macro. 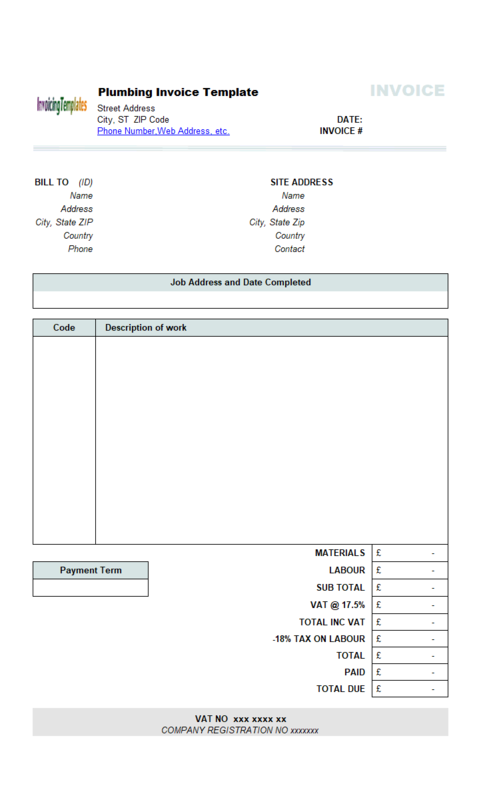 For example, the "Autonew" macro at Creating sequentially numbered documents (such as invoices), or at Auto-incrementing Form Fields could help you. 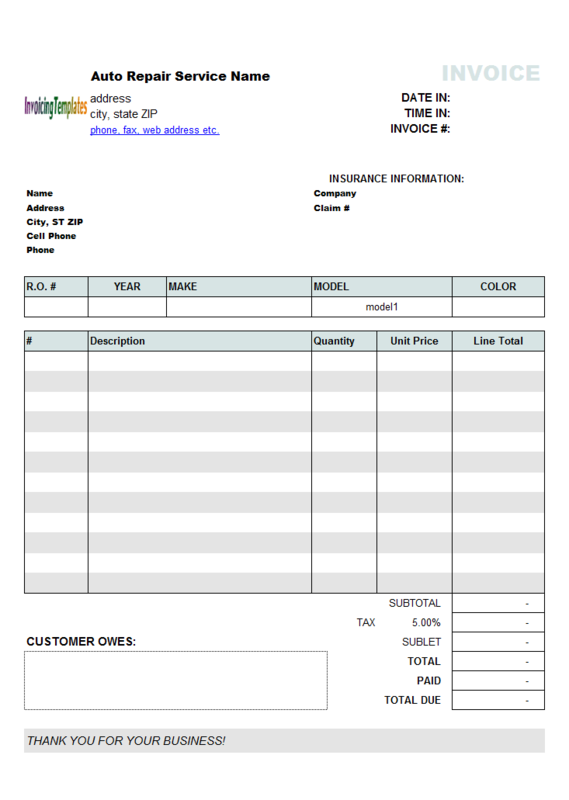 Visit Word Macro - auto increment invoice number and file name on save for more discussions on this topic. 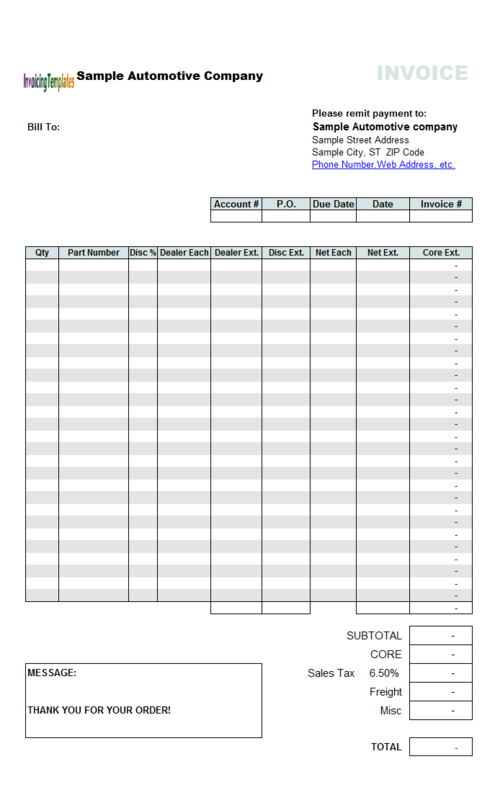 On wikiHow you can also find a useful tutorial about Word-based invoicing, which is designed for simple and basic invoicing using Word. 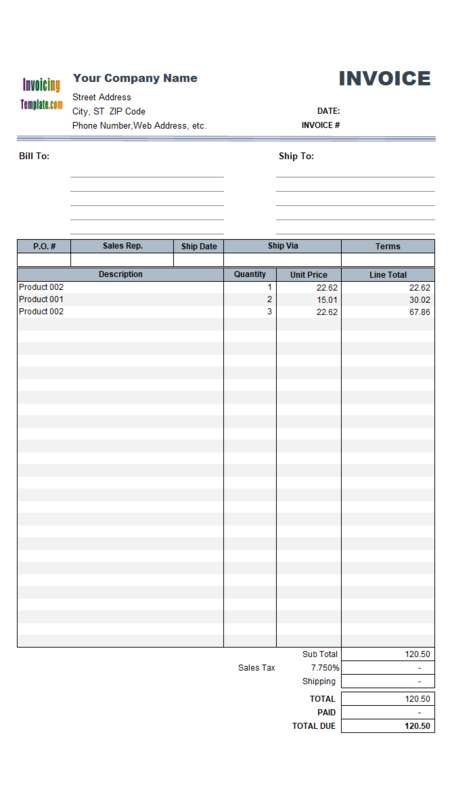 Zuora described another advanced way of using mail merge feature, at Customize Billing Document Templates Using Word Mail Merge. All these Word-based solutions does not deal with the problem of saving data to database. 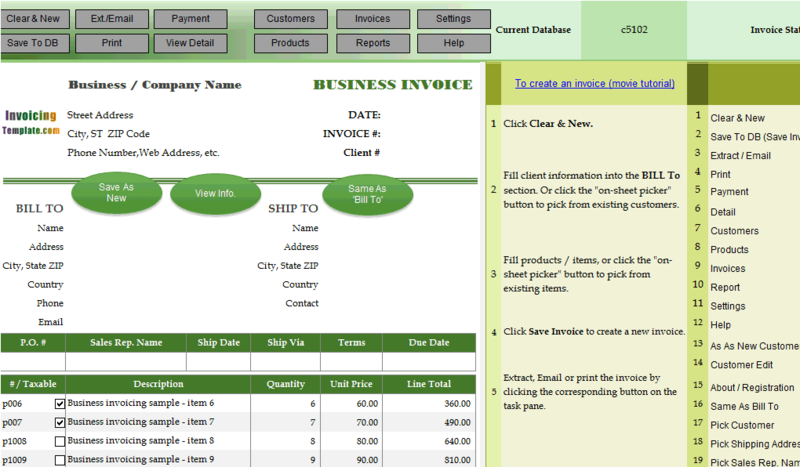 For this, we recommend our Excel based desktop invoicing tool UIS. 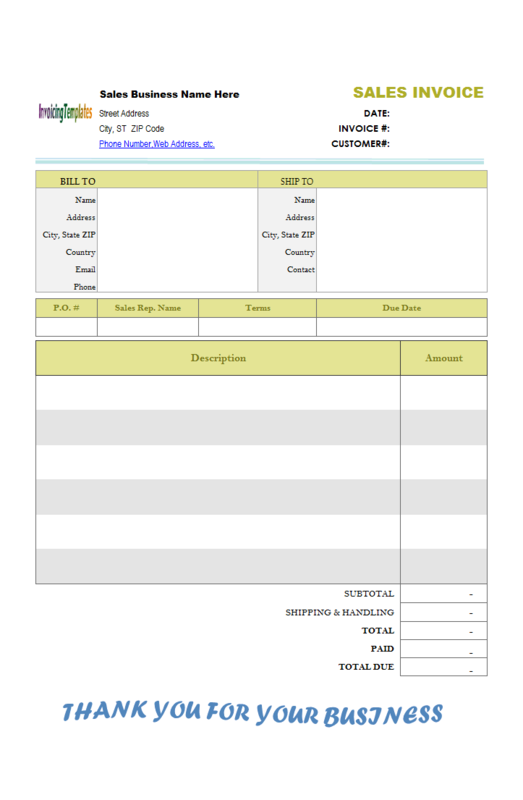 Auto Invoice In Word is a sub-topic of Sample Word Invoice . 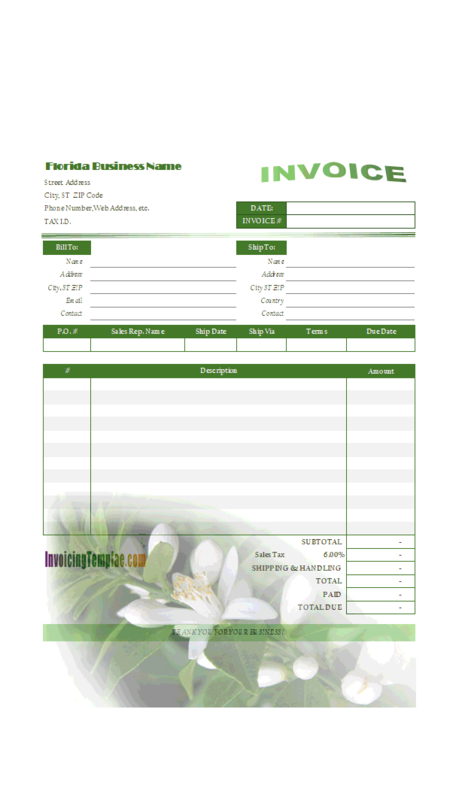 Here are our templates closely related to Auto Invoice In Word. 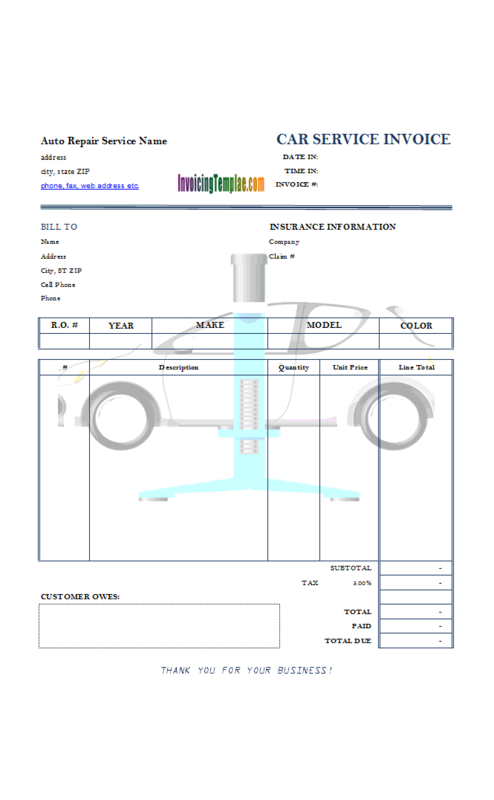 With this implementation, it also included a car lift image as the printable background. 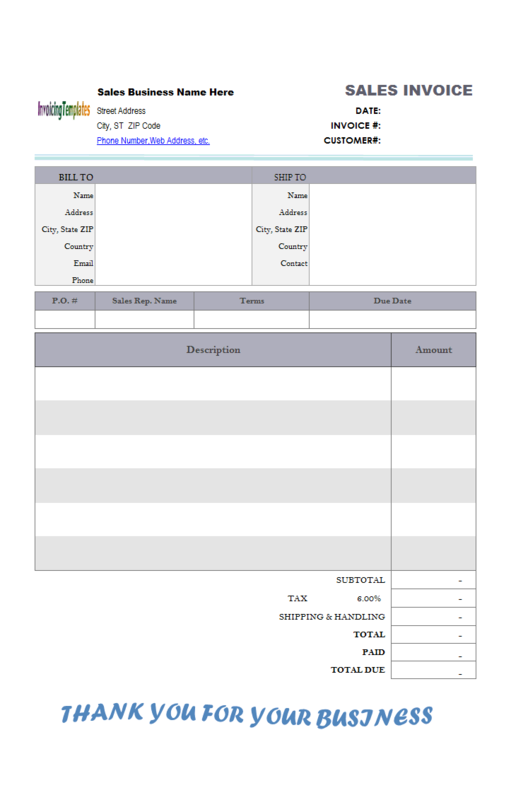 This makes the invoice design differs from others and tells what you do in an intuitive way. If you prefer to save some ink on printing (this won't be a problem if you send electronic PDF invoices only), you can remove the car lift image easy by following the steps below. Now the steps to create the "SpellNumber" VBA macro function for the ".xlsm" Excel workbook file. 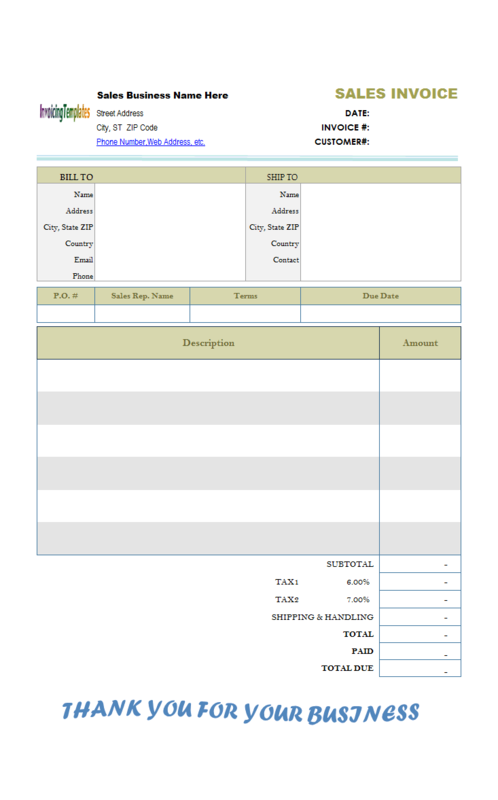 The macro code was copied from Microsoft at How to convert a numeric value into English words in Excel, where you can also find step by step instructions on how the create the spreadsheet file. You can also find a similar implementation at Two best ways to convert numbers to words in Excel, and at Converting Numbers Into Words. 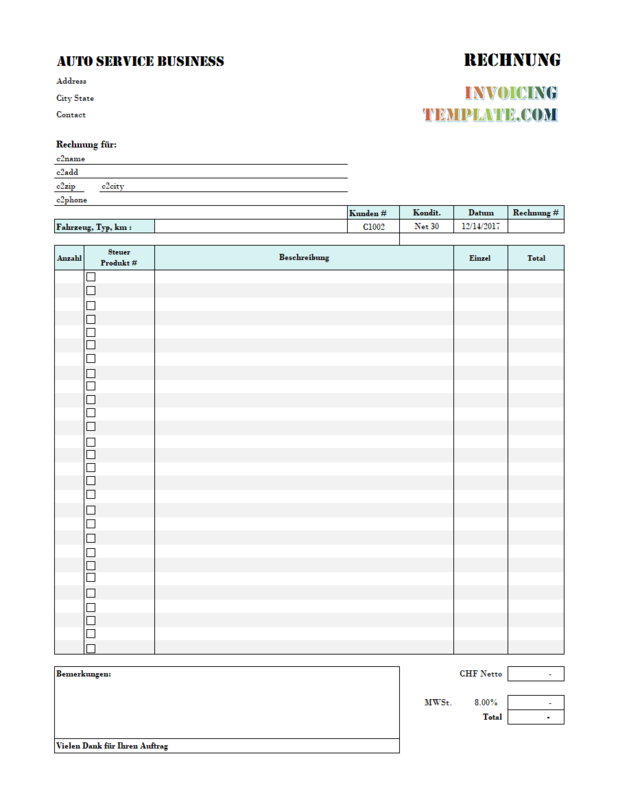 If you compare this format with its original one c3001 Basic Sales Invoice Template (Light Blue), these two basic customizations applied to the template give the template a complete different look and feel. 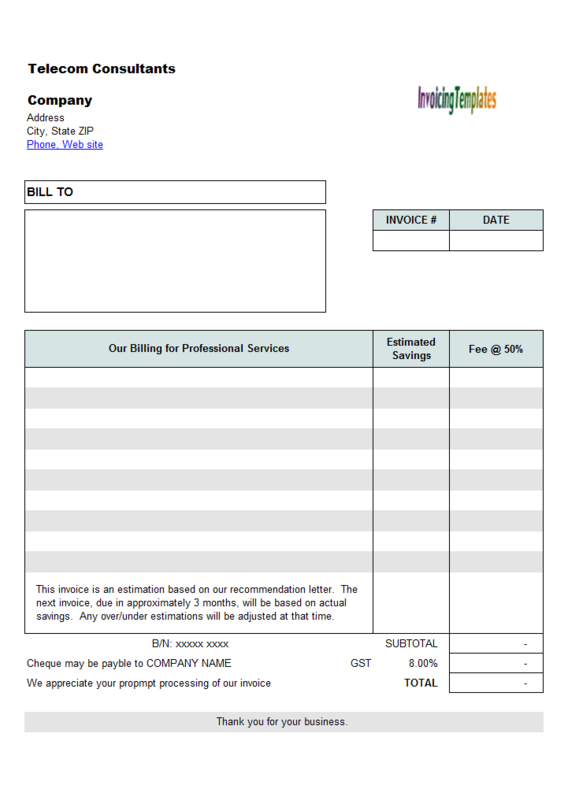 If you want to make your invoices and bills different from others, images and word arts are the easy and simple way that worth a try. 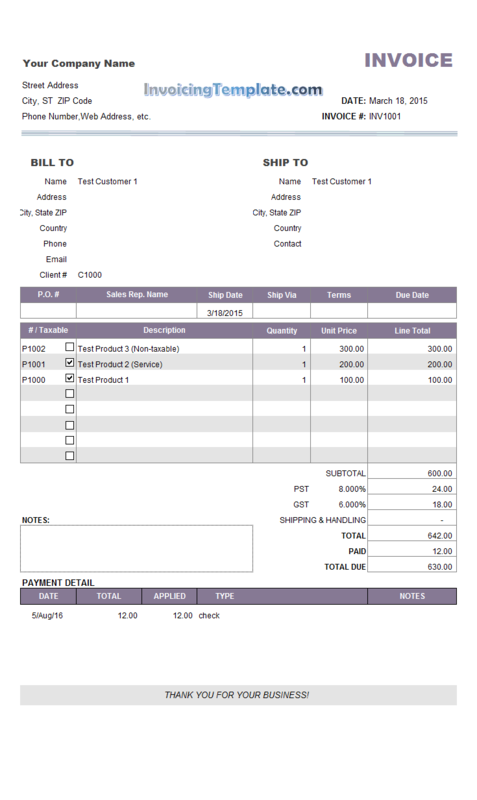 You can find more samples in the simple invoice template gallery. 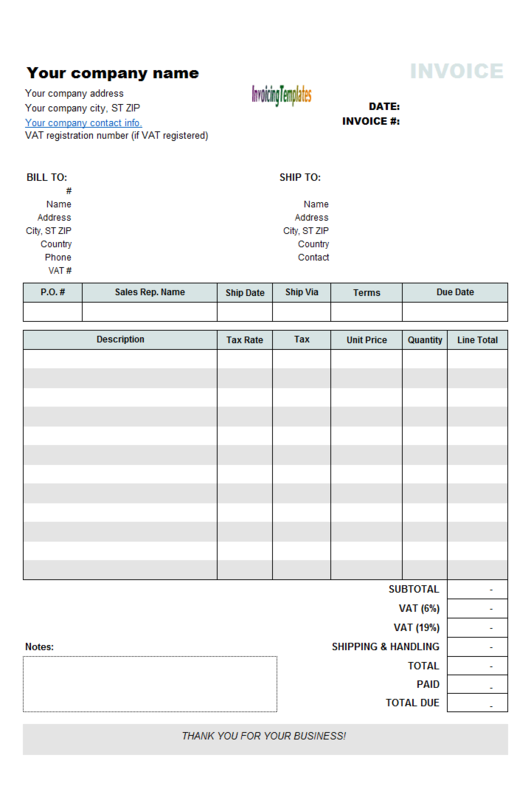 These fields - insurance and currency code, provides important information regarding the international shipping / freight and international trading. 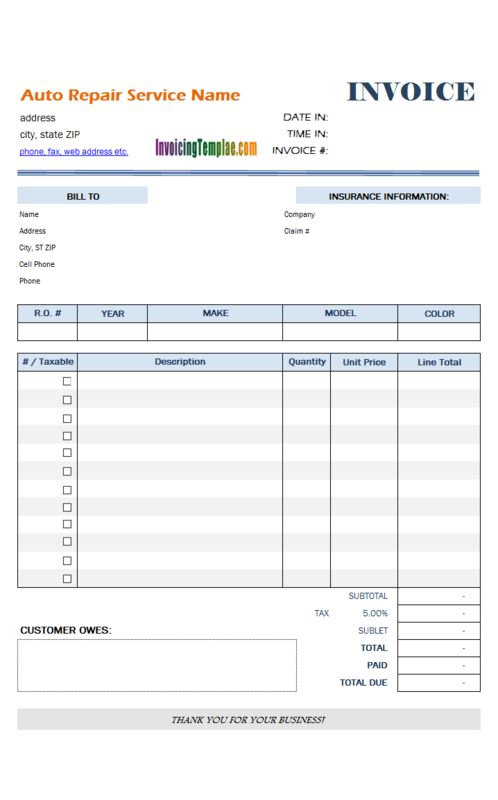 If you have looked at Commercial Template Sample - Complete Incoterms Rules, you may notice that many Incoterms rules specify how the insurance cost will be handled. 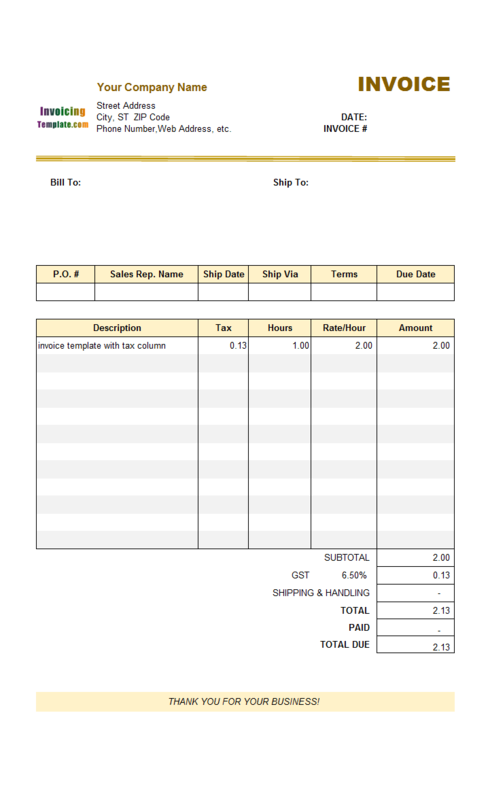 What if you want to be able to choose from all the 11 available Incoterms? 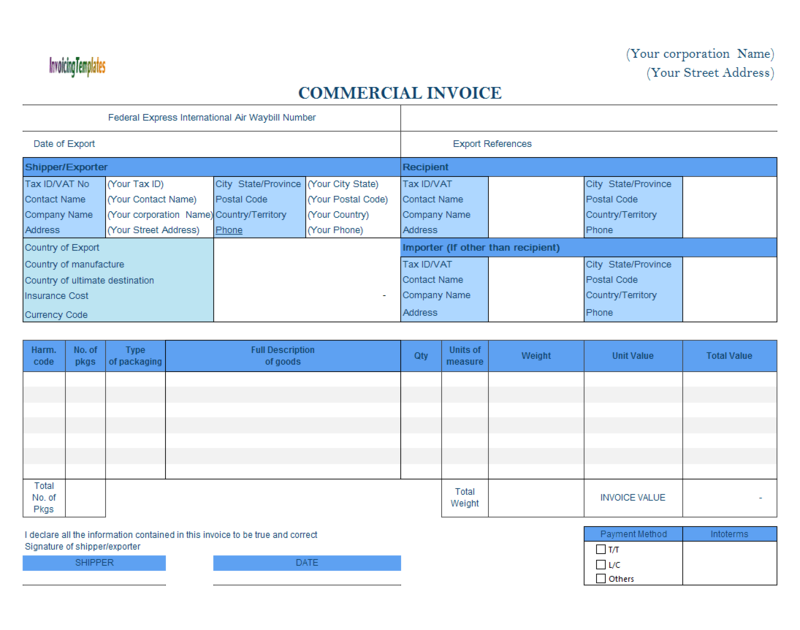 If we implemented the option with 11 checkbox control (see Commercial Template Sample - Using Payment Method Checkboxes), it would take over a large range of cells on our printable commercial invoicing form. In this case, a better idea is to use a dropdown list. 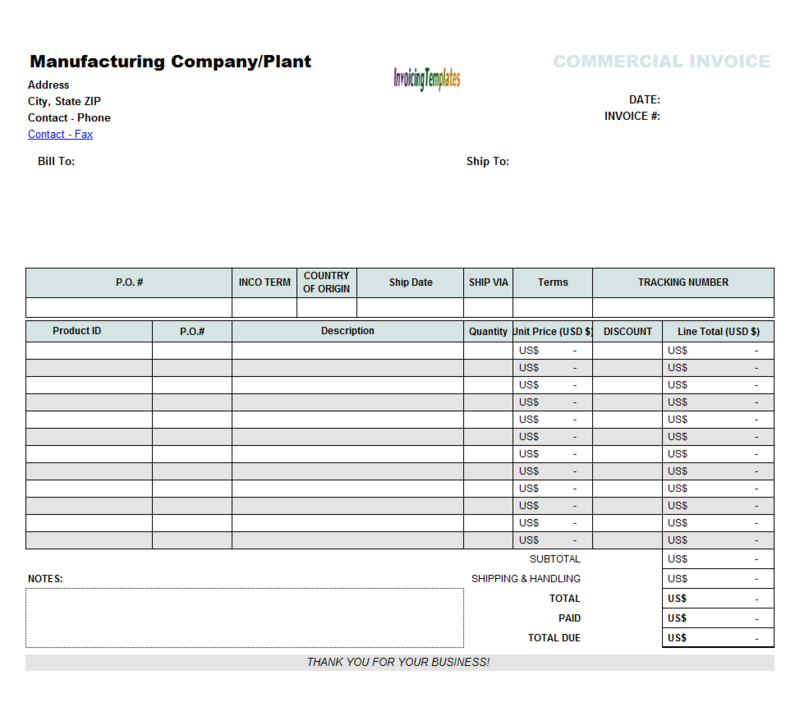 In this sample template, we'll add the Incoterms field as a dropdown list. 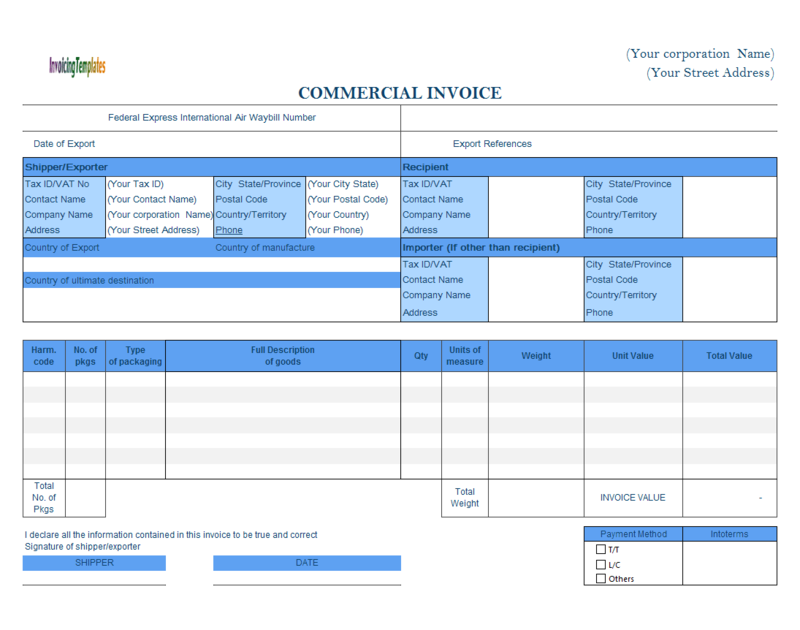 A drop-down list makes the fillable commercial invoice template easier to work with, because the value of a field is selectable from a list, and thus you don't have to type it manually. Moving cell or cells, or even an entire column, is easy and quick as Excel provides handy tools for you. 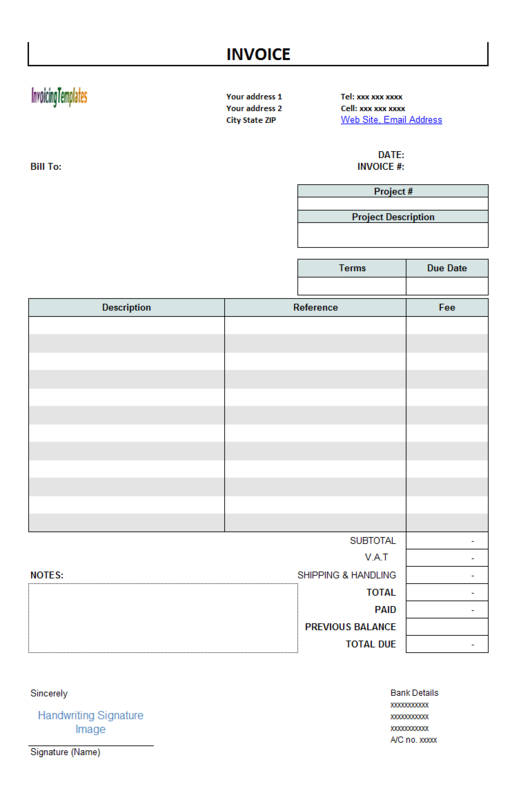 To do this, you simply unprotect the Invoice form, and then select all the cells you want to move, and then push your mouse key on the border of the selected area, and then without releasing the mouse key move it to the new location where you want to place the cells. 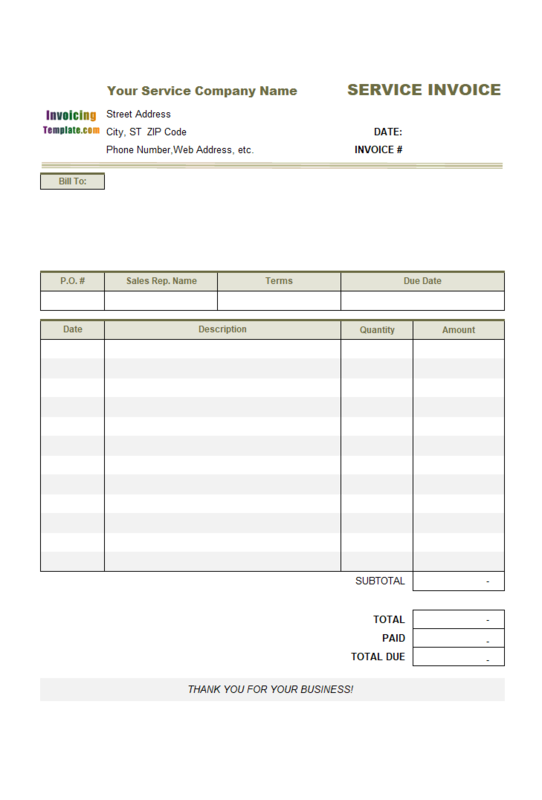 Several of the templates here on InvoicingTemplate.com have more detailed instructions included, such as this sample of proforma invoice template.